You Must be getting hit in martial arts training MUST happen, to avoid the Shock & Awe of being hit. It doesn’t have to be in the early stages. It does have to happen if you want to consider yourself ready for a real self defense or fight situation. What is the “Cartman”? Time and time again I see martial artist get hit in Krav Maga for instance they pause when hit to the face or may even become angry. All after a pause in the fight. In the worst cases cry like South Park’s Cartman, see the video below. This happens when coming from a Traditional M.A that only did point sparring. It may have been against the “rules” in their previous sparring sessions. Many systems do not strike, make sure yours does and does it often. A pause in a real fight could be your END! Above all you should be getting hit in martial arts training. It could just be holding a punching shield on your chest or leg to feel the power of a punch or round kick. Don’t Risk The Cartman Drama Add Light Contact Into Your Workouts. 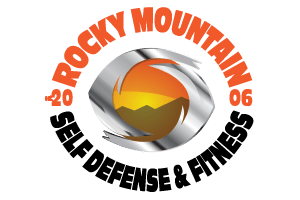 At Rocky Mountain Self Defense & Fitness we make getting hit part of our skill set. We start light, we are a beginner friendly gym, our goal is to help everyone learn the practical martial art of Krav Maga. No one should be taking full power blows on a regular bases. For your own health & well being. Always train smart and work at your comfort level. Step #1 A partner hit you lightly in the face with a thai pad or punch shield. Step #2 Have them immediately hold the pad for you to throw 2-4 strikes. Step # 3 Over time have your partner increase the hit to your face. Step #4 Add surprise to it by closing your eyes. Opening them on contact and finding that pad to hit. as quickly as possible. The attacker in the real world is not going to be waiting for you to hit them. The WILL be trying to finish you. Yes it doesn’t feel great to be punched but with time it won’t feel so bad. If you truly want to say you are ready for a full contact fight you can not avoid contact. To Say the least it’s an uneasy feeling at first but over time it gets better. Many well trained instructors will say “Become comfortable with the uncomfortable”.